Compare current prices & deals on delicious Cloudy Bay wines. Search for exclusive vouchers. Learn about Price History, awards and reviews to make the best purchase. 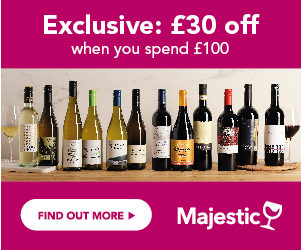 Sign up and receive Price Alerts - be the first to know if your favourite bottle is on sale. The phenomenon that is Cloudy Bay, began less than 25 years ago, in a quiet spot of New Zealand’s South Island, and is largely responsible for putting New Zealand wine on the world’s wine map today. New Zealand still accounts for only 6% of total wine sales in the UK but this is huge growth pattern in the last 10 years, from under 1% 10 years ago. Cloudy Bay, situated at the eastern end of the Marlborough region, in an area, named as such, by Captain Cook, in 1770, is a wine, and winery, which can truly be hailed as the pioneer for New Zealand Sauvignons, and is almost solely responsible for catapulting these intensely fresh, aromatic wines onto the international scene. With a small, exclusive production, and its limited availability, which is now fought over, across the world, it’s never going to appear on the top 20 brands, but is simply the icon brand for New Zealand, which most New Zealand Sauvignon Blanc lovers will fight to get. It could be said that it is the high quality that first came out of New Zealand that persuaded wine drinkers to pay just that little bit more, meaning that New Zealand wines have the highest average price point in the UK. Cloudy Bay’s first vintage was in 1985, and the brand has never looked back. In 1983, David Hohnen, co-founder of the well–known Cape Mentelle winery in Western Australia, first tasted a Sauvignon Blanc from New Zealand and was intrigued. He went to New Zealand the following year, and was able to find out that the wine he had tasted was from the cool climate region of Marlborough, on the eastern side of the south island. Cloudy Bay, which is situated close to the now premium Wairau River area of Marlborough, and borders the Richmond ranges, got its name in 1770, from Captain Cook, as the rivers of Marlborough were in flood, when he arrived there, creating muddy, cloudy water. This, and the mountain ranges are the inspiration behind the immediately recognisable label on the bottle. Convinced about the potential for this wine, he bought land in the area, and launched the first vintage in 1985, which had to be bottled up at Gisborne, in the north island, as the winery had not yet been built. In 1996, Cloudy Bay Sauvignon Blanc, first hit the UK shores, and the rest is history. The winery was built soon after the international launch of the wine, and Cloudy Bay vineyards now cover 140 hectares, across the eastern side of Marlborough, including the eastern bay, after which the brand was named. Cloudy Bay was almost single-handedly responsible for launching the New Zealand Sauvignon Blanc craze across the world, with its intense, aromatic, tropical fruit and herbaceous flavours, a totally new wine flavour profile for the world. The ensuing 25 years have witnessed a veritable tsunami of New Zealand Sauvignons hitting the supermarket shelves, after many wine companies realised the potential and set up wineries in Marlborough, although several were well established already, on their domestic market, but needed this prop for an international push. In 2003, Cloudy Bay was bought by luxury firm LVMH, and is now in their wine portfolio, together with icons such as Veuve Clicquot, Moet, and Dom Perignon. The Sauvignon Blanc has reached cult status, with the wine on allocation in many countries, even though the vineyard holdings have increased, and with it the quantity of wine, over the years. In the UK , in particular, the wine is snapped immediately, despite its high premium price. What Styles Of Wine Do Cloudy Bay Produce? As well as the iconic Sauvignon Blanc, Cloudy Bay produces a Chardonnay and a Pinot Noir, as well as the top New Zealand sparkling wine brand, Pelorus. Small amounts of Pinot Gris, Riesling and late harvest Riesling are also available. Cloudy Bay Sauvignon Blanc is a true expression of the natural purity of fruit and intensity of flavour of Sauvignon Blanc, with its heady aromas and flavours of passion fruit, gooseberry and citrus. Cloudy Bay Te Koko is a premium and iconic wine, made in small quantities from vineyards in the Te Koko bay. Unlike any other Sauvignon Blanc in New Zealand, it is made using wild yeasts, is also aged in oak, and is not released until it is 3 years old. Cloudy Bay Chardonnay is another top quality wine, with the cool climate of the area, suiting the long ripening process for the Chardonnay. Unlike many New Zealand Chardonnays, it is also oak aged, and benefits from a couple of years ageing before being released. Cloudy Bay Pinot Noir is a classic expression of the New Zealand style of this grape variety. From the same Wairau region, this wine is intriguing, and alluring, aged in French oak and a real expression of pure, intense, sweet Pinot Noir fruit. Cloudy Bay Pelorus Sparkling has reached almost a similar cult status as the Sauvignon Blanc, and has become known around the world, as a worthy match for any Champagne, and better than many. It’s produced in the Cloudy Bay region, near the Wairau Valley, from the traditional Champagne grapes, Chardonnay and Pinot Noir, and made in the same way. Cloudy Bay Sauvignon - a classic with all types of fish, and copes well with richer, meatier fish dishes, as well as chicken and is particularly good with Asian food. Cloudy Bay Chardonnay - roast chicken, quail, salmon with hollandaise sauce, and seared scallops would be ideal. Cloudy Bay Pinot Noir - its silky elegance makes it a perfect match for most game dishes, duck breasts, pheasant and venison steaks. Also great with lamb and spiced up red meats. Cloudy Bay Pelorus - a fabulous alternative to Champagne, but rich and full enough to cope with seafood, scallops and smoked salmon.